Lindsay Townsend makes the fictional seem realistically authentic in her historical tales. Since THE LORD AND ELEANOR takes place during a time in history when living conditions were often difficult to endure, persons responsible for others were frequently forced into agreeing to arrangements not of their choosing. Being a woman, although free, still puts Eleanor under the control of those who rule the area where she lives. This feisty female faces discrimination with much self-respect, even though some still see her as a bondswoman regardless of her new status. Her independent streak definitely made me think highly of her, and I enjoyed watching her converse with Richard as she never let him get the best of her. He is certainly a wonderful champion for Eleanor, as he supports her without undermining her confidence since he asks for opinions and does not demand consent, like many lords in this period would have done. How he interacts with those who serve him also demonstrates his inner personality. Compassion may have been one of the reasons Richard noticed Eleanor at first, but his concern for her welfare soon changes into something much more sexual. Their responses to each other are sincere, and Ms. Townsend makes the love between them seem genuine. There is a little mystery to the story plus a touch of suspense, and the facts pertaining to these aspects are skillfully handled. THE LORD AND ELEANOR captures the essence of the medieval period in spirit and detail. Eleanor Fletcher, once a bondswoman, is now free but life has become difficult for her since the death of her parents. She must now struggle to support and care for her three younger siblings. She slays a wolf to present it to Lord Richard of Wykeford in order to collect the reward but gets more than she bargained for when she receives his undivided attention. As desire ignites between Eleanor and Richard, something evil lurks in the shadows and deadly events occur which threaten the lives of not only Eleanor and Richard, but also Richard’s children and Eleanor’s siblings. Will their budding love be extinguished at the hands of a murderer? Once again, Ms. Lindsay Townsend has created a story filled with intrigue, deep characters and written in almost poetic prose. Although Ms. Townsend creates imperfect characters, they warm the heart with their depth, nobility and spirit of fairness and right. The Lord and Eleanor may be short but it is packed with action, mystery and scenery so beautiful the reader can imagine it clearly like treasured art. Ms. Townsend never disappoints. Her work will sweep the reader away to another time and place and steal the reader’s heart with her characters. 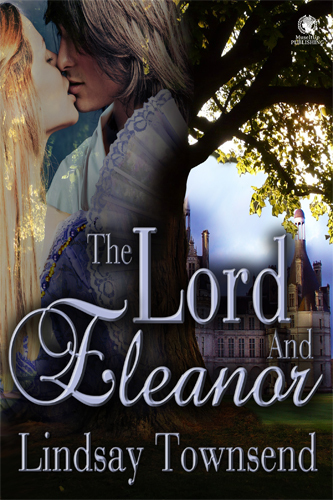 No reader who likes historical stories will want to miss reading The Lord and Eleanor.